Gov. -elect Susana Martinez has nominated a former U.S. Marshal and director of the state Motor Vehicles Division to be her Public Safety secretary. 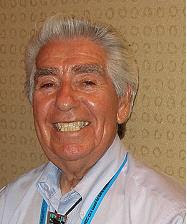 Gordon Eden, Jr. served as U.S. marshal in New Mexico from 2002 until earlier this year. Previously he was chief of the MVD during former Gov. Gary Johnson’s administration . He's the second cabinet secretary named by Martinez, the first being Rick May, who she chose to run the Department of Finance & Administration. All cabinet secretaries have to be ratified by the state Senate. Balderas to Launch Audit SF County Sheriff's Dept. 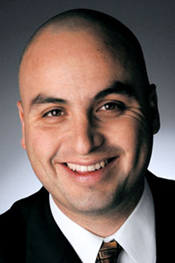 State Auditor Hector Balderas announced this morning that he'll oversee a special audit of the Santa Fe County’s Sheriff’s Department and the county’s internal financial control process. Balderas in a news release said the country had contacted him to ask for assistance following last week's resignation of Sheriff Greg Solano. Solano admitted to selling county property -- bullet-proof vests and other items discarded by his department -- due to his personal financial problems. Balderas said he's currently working with county officials to hire an independent audit firm, approved by the State Auditor, to conduct "special procedures related to the Sheriff’s Department and the County’s overall internal control structure"
State Sen. Tim Keller, D-Albuquerque, who was one of the sponsors of bills to reform the troubled State Investment Council early this year, says the Legislature needs to "finish the job." Thus he's proposing a new package of investment reforms, which is scheduled to be considered Wednesday by the Legislative Investment Oversight Committee. Keller's top suggestion is removing the governor completely from the SIC. Last year Keller backed legislation that reduced the governor's influence on the board. But now that there's going to be a Republican governor I wonder how many GOP lawmakers will jump on this bandwagon. • Remove Governor from the SIC: The number one recommendation made by the Ennis Knupp research, which was completed in 2010, was to remove the Governor as chair of the SIC. SB 18 in 2010 attempted this but was amended at late stages in the legislative process to keep the Governor on the board. This bill would remove that seat entirely, yet would acknowledge and ratify the executive branch responsibility via several executive appointed seats and representation from the Secretary of the Department of Finance and Administration. As previously mentioned, New Mexico is currently the only state in the country with a Governor personally residing on the state's investment fund board and directly responsible for investment decisions. • Investment Fraud Accountability: Appealing provisions that give the Attorney General investigative authority for securities fraud. Currently the authority rests within the executive branch (inside the licensing and regulations department) creating a structural conflict of interest. This bill also broadens the threshold for prosecution of fraud (N.Y. Gen. Bus. Law Art. 23-A (McKinney)), thus enabling the recovery of a percentage of the estimated $1.3 billion currently under litigation throughout the nation. • Educational Retirement Board (ERB) and Public Employees Retirement Association (PERA) Governance Reform: Enabling the implementation of several necessary governance and best practice changes from the 2009 Ennis Knupp study including: open meetings act, fiduciary duty, transparency and accountability measures. The bill would also address concerns regarding financial expertise by creating a new seat which would require the elected board member to posses a minimum of ten years of professional investing experience. • Economic Targeted Investment Oversight: Proposing the establishment of a formal structure and performance metrics for all the Economic Targeted Investments (ETI) (NM private equity, film fund, etc) to be managed separately by the SIC. Utilizing the current statutory Private Investment Advisory committee (PIAC) structure, the newly established board (SIC PIAC) would be specifically responsible for effective oversight regarding ETI funding as well as any merit based recommendations presented to the SIC. In addition, the bill would separate performance tracking in order to prevent the co-mingling of ETIs with “endowment” funding. • SBIC Governance Reform: The small business investment council (SBIC) is a subsidiary of the SIC that invests an estimated $45 million in New Mexico small businesses. This program has been successful in creating jobs and providing financing to small businesses around the state. However, there is a need to depoliticize the appointment of the SBIC board to ensure that investment principles are prioritized before politics. By incorporating appointees from the legislature the bill would diffuse any one person's potential influence over investment choices and would ensure altruistic decision making. With Black Friday just one day away, now's the perfect time to be thinking about good deals on gifts for New Mexico political junkies. One such item would be books by and about the outgoing governor. Here, there are bargains to be had. 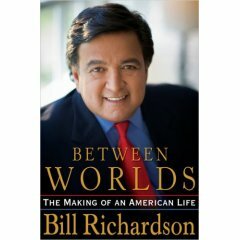 Between Worlds: The Making of an American Life by Bill Richardson (with ghost writer Michael Rub) is the biography the governor published in 2005. The hardcover edition is selling on Amazon.com for $20.76, discounted 20 percent from the original price. However, Amazon lists new copies of the book from other sellers for as low as 99 cents and used copies for as low as a penny. Paperback copies of Between Worlds are also cheap. If you buy directly from Amazon, you'll be charged $4.40. But other sellers listed there are charging as little as $2 for a new copy and $1.75 for a used one. Richardson's other book, Leading by Example, How We Can Inspire an Energy and Security Revolution, is selling in a hardcover version on Amazon for $4.96, down from the original price of $25.95. But you can find new and used copies from other sellers listed by Amazon for as little as one cent. To be fair, the shelf life of books from unsuccessful presidential candidates is notoriously short. You can get hardcover copies of Hillary Rodham Clinton's 2004 book Living History, John McCain's Why Courage Matters (also 2004) or paperbacks of Howard Dean's 2003 Winning Back America for a penny on Amazon as well. But commanding a higher price than either of Richardson's books at Amazon.com is a curious 2006 tome called Frozen Lightning: Bill Richardson's Strike on the Political Landscape of New Mexico by Santa Fe author Bill Althouse (and a thousand and one other New Mexicans, the cover says). It's a hatchet job that would put Lizzie Borden to shame, calling the governor, among other things, a "tool for fascism" and "a politician driven to evil by his presidential aspirations." Altman blasts the governor in this book nearly as intensely as Richardson puffs himself up in his autobiography. Originally priced at $12.95, the paperback is available from sellers on Amazon for as low as $7.38 for a new copy and $6.78 for a used one. Kumbaya: You probably couldn't find two political groups in New Mexico much further apart than the right-wing think-tank the Rio Grande Foundation and the left-wing activist group We Are New Mexico. Last week I wrote about both groups offering solutions to the state's dire budget crisis. There wasn't much from one side that the other side could embrace. But on Wednesday, We Are New Mexico's Bruce Wetherbee, acting in the spirit of Thanksgiving, he said, contacted Rio Grande director Paul Gessing saying there might be at least one instance of common ground. "We want to acknowledge and support the recent suggestion by you and the Rio Grande Foundation that '$19.5 million could be saved by diverting most non-violent offenders out of prisons and diverting from prison probationers and parolees who are revoked for technical violations of their supervisors,' " he wrote. Wetherbee's letter said, "We hope people can utilize the holiday spirit to solve our problems by reasonable debate and negotiation instead of political posturing that has generally focused on the extremes and fostering distrust. We would welcome an opportunity to exchange ideas and see what we agree on, with the goal of presenting the new governor a package of 'stipulated' items or ideas that help solve our budget dilemma." Gov. Elect Susana Martinez has named House Republican Whip Keith Gardner, affectionately known by his colleagues as "The Gentle Giant," as her chief of staff. Former Rep. Brian Moore of Clayton, who ran unsuccessfully for lieutenant governor this year will be a deputy chief of staff as will Martinez's campaign manager Ryan Cangiolosi. Keith Gardner serves in leadership in the New Mexico Legislature as minority whip in the House of Representatives, in addition to representing District 66 and the people of Chaves, Eddy, Lea and Roosevelt Counties. Gardner is the managing partner of Sprint Sports Rehabilitation Clinic in Roswell where he has resided for the last 17 years. Ryan Cangiolosi most recently served as director of personnel for the Governor-Elect Martinez Transition Committee. Cangiolosi also served as campaign manager for Susana Martinez for Governor. He has extensive business experience and is an officer in the United States Naval Reserve. Cangiolosi has a BA and an MBA from the University of New Mexico. Brian Moore most recently served as director of policy planning for the Governor-Elect Martinez Transition Committee. 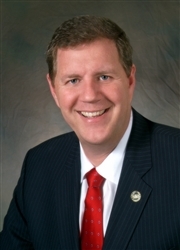 Moore is a business owner from Clayton and was a candidate for lieutenant governor in 2010. He was a member of the New Mexico House of Representatives from 2000-2008 serving on numerous committees including legislative finance and was a strong advocate for New Mexico’s rural communities. Jessica Hernandez is a director in the litigation department in the Albuquerque office of Rodey, Dickason, Sloan Akin, & Robb, PA. Hernandez specializes in cases involving product, premises and general liability matters. She has served as a law clerk for the Honorable James O. Browning, United States District Judge for the District of New Mexico and received recognition as the youngest member of the New Mexico State Bar in 2003, 2004 and 2005. Matthew Stackpole most recently served as director of support and coordination for the Governor-Elect Martinez Transition Committee. 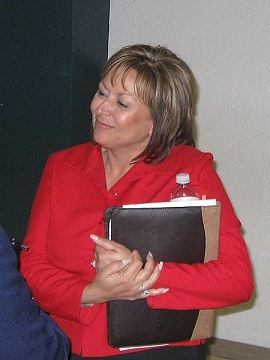 Stackpole served as deputy director of campaign operations for Susana Martinez for Governor. Previously, he assisted Richard J. Berry’s campaign for Albuquerque mayor, as well as field operations for the Republican Party of New Mexico. Stackpole graduated from the University of New Mexico Law School in May 2010. Scott Darnell, a Farmington native, served as the communications director for the Republican Party of New Mexico and worked as a weekly commentator on the KNME-TV political discussion program, “New Mexico in Focus.” Darnell is a graduate of the University of New Mexico and received a Master in Public Policy degree from Harvard University’s John F. Kennedy School of Government. He is currently completing his work as a teaching fellow in the Department of Government at Harvard University. Matt Kennicott most recently served as director of legislative and constituent affairs for the Governor-Elect Martinez Transition Committee. Kennicott was previously director of campaign operations for Susana Martinez for Governor. He has served as the chief of staff for the House Republican Caucus in the New Mexico House of Representatives. Labels: " transition, "Brian Moore", "Keith Gardner"
And I thought STATE government was weird ... Here's some anonymous commentary about some recent city politics stories. NM 3rd Party Marketer Pleads Guilty in NY Case. A former Democratic Party consultant turned "third party marketer" for investments pled guilty today to fraud in New York. "I intentionally engaged in fraud, deception (and) concealment," Henry "Hank" Morris said, his voice low but steady as he admitted being at the fulcrum of the pay-to-play scheme at the $125 billion retirement pool, one of the world's largest government pension funds. Morris acknowledged using his ties to former state Comptroller Alan Hevesi to get millions of dollars in payouts for himself, to channel money to cronies and to solicit campaign contributions for Hevesi from firms seeking state business. But neither The Times nor the New York Daily News, at least in initial stories on the plea, mentioned Morris' dealings in New Mexico, where a company he was afiliated with was paid 150,000 in third-party marketing fees secure a $20 million investment in a fund from our State Investment Council. Morris has not been charged with any wrongdoing for his dealings with New Mexico. Last year Saul Meyer, co-founder of Dallas-based Aldus Equity Partners, pled guilty in the New York pay-to-play scandal. Aldus was contracted as the adviser to the New Mexico SIC and this state's Educational Retirement Board. In his plea statement to a New York court, Meyer said he recommended investments in New Mexico because of political pressures, saying, "contrary to my fiduciary duty, I ensured that Aldus recommended certain proposed investments that were pushed on me by politically connected individuals in New Mexico. I did this knowing that these politically connected individuals or their associates stood to benefit financially or politically from the investments and that the investments were not necessarily in the best economic interest of New Mexico." Shortly after that statement, SIC director Gary Bland retired. A majority of state House Democrats voted Saturday to reject a challenge from a Las Cruces lawmaker and keep House Speaker Ben Lujan of Nambe in what’s been called the most powerful position in the state Legislature. But the battle might not be over. Lujan’s challenger, Rep. Joe Cervantes , though he lost on Saturday, has not rejected the idea of forming a coalition with House Republicans to win the speaker’s post when the Legislature convenes Jan. 18. And some of his supporters from southern New Mexico indicated Saturday they might support such a coalition. “The voters told us they wanted change,” Cervantes told reporters following the near-four-hour caucus meeting behind closed doors at the state Capitol. One change brought by this month’s election is a loss of eight Democrats in the House. There will be 37 Democrats and 33 Republicans in the chamber when the new Legislature starts next year . A House member since 2001, Cervantes declined to tell reporters how many of the Democrats had voted for him Saturday. Caucus votes traditionally are kept secret. Lujan said he believes it’s important for Democrats to keep an experienced leader in the speaker’s chair because of the state’s budget crisis and revenue shortfalls. 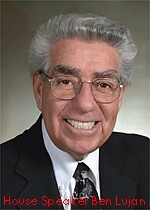 A former iron worker, Lujan was first elected to the House in 1974. He has been speaker since 2001. Lujan, who was Gov. Bill Richardson’s most important ally in the Legislature, noted there will be a new Republican governor when Susana Martinez takes office. He said a leadership battle would create unnecessary rancor and animosity that would detract from doing important legislative work. But two of Cervantes’ supporters said after the vote that building a coalition with Republicans might be the best course. Rep. Mary Helen Garcia of Las Cruces — who is Cervantes’ aunt — was clearly disappointed that the insurgency had failed Saturday. “As usual, the North and Albuquerque controls everything,” she told reporters. Indeed some have seen the Cervantes challenge as a possible power shift from the northern part of the state to the south. Gov.-elect Martinez also is from Las Cruces. However, Cervantes told a reporter last week that such talk has been overblown. Garcia said she’d encourage Cervantes to continue his challenge. She said Cervantes had worked with Martinez. “He knows she is a bold leader, but he can be very bold himself.” Garcia said. Rep. Andy Nunez of Hatch, who nominated Cervantes Saturday, said he probably would support forming a coalition with Republicans for Cervantes to win the speakership. Like Cervantes, Nunez said the voters indicated they wanted change. He said he didn’t want the state House to be like the U.S. House of Representatives, which kept Nancy Pelosi as their leader despite major Democratic losses in the elections. But it’s not certain whether Republicans are eager to back a Democrat for speaker in a coalition. Earlier this week House GOP Whip Keith Gardner of Roswell said that Republican House members have not yet committed to backing anyone for speaker. “We want to see what the options are,” he said. Lujan, however, later told reporters he wouldn’t seek retribution against those who supported Cervantes. Four years ago, after Cervantes backed an unsuccessful challenge against Lujan by Majority Floor Leader Kenny Martinez of Grants, Lujan removed Cervantes as chairman of the House Judiciary Committee. The speaker appoints committee members and influences the outcome of legislation by deciding which bills are referred to which committees and which bills get floor hearings. Besides the Speaker’s position, House Democrats voted to keep Kenny Martinez as majority floor leader and Sheryl Williams Stapleton of Albuquerque as majority whip. Patricia Lundstrom of Gallup was elected caucus chairwoman. She replaces John Heaton of Carlsbad, who was defeated in the general election. In case you were worried that the Manuel Lujan Insurance Agency was not keeping proper representation with Gov.-elect Susana Martinez's transition, fear no more. According to a news release today, several honchos at that company -- started by former Republican Congressman and U.S. Secretary of Interior Manuel Lujan -- have been named to the board, including Lujan's brother and former state Republican Chairman Ed Lujan, who is now on the Tourism & Cultural Affairs search committee. Other Lujan agency figures appointed today are Larry Lujan, president and chief executive officer of the company, ( Economic Development, Workforce Solutions & Transportation search committee), Stephen Byrd, co-owner of the company (Health, Human Services & Children Youth & Families search committee) and Joe Lujan, another co-owner, (General Services & Information Technology search committee). Others appointed today are recent Republican Appeals Court candidate Ned Fuller (Economic Development, Workforce Solutions & Transportation search committee) and former PNM CEO Jerry Geist (General Services & Information Technology search committee). Albuquerque – Gov.-elect Susana Martinez today announced additional members of agency review teams. These individuals will join the already-established committees tasked with identifying potential cabinet secretaries and high-level officials to conduct reviews of each state department. In addition to those previously named, these individuals will conduct a review of the cabinet departments prior to January 1, 2011 in order to find efficiencies and promote greater streamlining in state government. Edward Lujan is the chairman of the board of Manuel Lujan Agencies, an insurance and consulting firm. Nathan Korn is a licensed attorney in New Mexico, New York and Connecticut, and is the owner of Kaufman’s West, a small business in Albuquerque. Marjorie Shumaker is a retired school teacher. Dr. Ronald Shumaker is a retired professor emeritus of English. 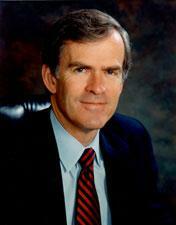 Pat Broe is the founder and chief executive officer of the Broe Group, a real estate asset management firm. Ned Fuller is a lawyer who served as assistant director of the Worker’s Compensation Administration and administrative law judge. 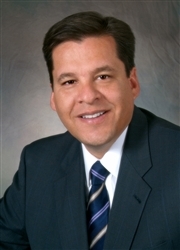 Richard Luarkie is the acting president of Laguna Construction Company, Inc.
Larry Lujan is the president and chief executive officer of Manuel Lujan Agencies, an insurance and consulting business. Kevin Yearout is the president and chief executive officer of Yearout Mechanical, Inc. He has been in leadership and management roles in the construction industry for the last 20 years. Jerry Geist is a retired chief executive officer of PNM. He currently is the chairman of Santa Fe Center Enterprises, an investment company. 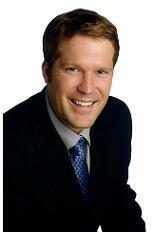 Mark Jarmie is an Albuquerque attorney in private practice. He is a former federal and state prosecutor. Joe Lujan is the co-owner of Manuel Lujan Agencies and vice president of sales. Mike Turk is the vice president of industry grassroots for the National Cable & Telecommunications Association (NCTA). Robert Michael Unthank retired in 1991 after 30 years in the construction industry, and served in both the King and Johnson Administrations. He now serves as an independent management consultant. Stephen Byrd is co-owner of Manuel Lujan Agencies and vice president of the Employee Benefits Department. Chris Collins is an attorney at the Barnett Law Firm in Albuquerque. Mary Merrell is the co-owner and clinical operations director of Ambercare Home Health, Ambercare Hospice and Ambercare Medical Supply Companies. UPDATE: The spelling of Manuel Lujan's name has been corrected. Well, Politico said he's seriously thinking about not seeking re-election in 2012. I’m not sure where they got the information (there’s no quote, like there was for Conrad). Sen. Bingaman doesn’t typically make a decision about whether he’ll run until late winter. But as I understand it, he did have a fund raising event a few weeks back and raised nearly $400,000. State Sen. Dede Feldman, D-Albuquerque, is a serious, dedicated and very intelligent lawmaker, and one of the all-time leading champions of transparency and open government in the Roundhouse. Still, I have to give her a hard time for what might just be a bad choice of words, or might be an example of thinking like a legislator instead of like a regular human. Feldman is drawing comparisons witht he current situation in the House in which four Dems could join with Republicans to oust Speaker Ben Lujan. Looking back at the Senate in 2001, Feldman wrote, "Could the `coalition' have been forestalled? Yes, if the Democrats had dealt with their differences over leadership openly in their caucus and chosen a leader that might not be the first choice, but with whom we could all live." In reality caucuses by their very nature are not "open." If the House Democrats "deal openly" with their leadership questions tomorrow, it sure won't be open to me and any of you readers who aren't elected House Democrats. Gov. 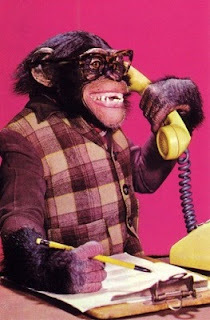 Bill Richardson is in Washington, D.C. today for some monkey business. He also attended the 2010 VIDA National Hispanic Health Leadership Awards in Washington on Wednesday, a spokeswoman said. I didn’t find out Richardson was even out of state until Wednesday when I got a press release saying he was having a “news availability.” That caught my eye because his availability to the local media has dwindled to almost nothing in recent months. Then I noticed the District of Columbia address. I should have known this wasn’t for us local press chimps. If this was a few years ago, he might have been able to create exempt positions for the critters. Now is he afraid that “Susana la Tejana” wants to give New Mexico’s chimps to her big donors in Texas? But seriously, folks, Richardson has been working on this issue for several months now. In August, he met with officials of the National Institutes of Health, which wants to use the animals for further medical tests. In a 10-page letter to U.S. Agriculture Secretary Tom Vilsack, which was posted on the U.S. News & World Report website, Richardson said some of the chimps in question were used in space flight and military flight experiments in the early ’70s. These are some patriotic primates. They have not been used in medical experiments since 2001. All have been exposed to diseases including HIV and hepatitis C, the letter said. 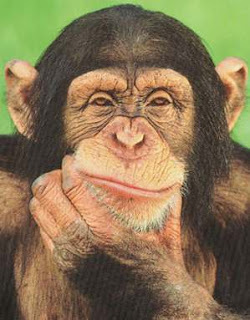 At least two of the chimps are more than 50 years old, the letter said. All the animals have serious health problems, including widespread cardiac disease, the governor told Vilsack. The transfer to Texas could injure or kill them, Richardson argues. He’s asking Vilsack for a cease-and-desist order. Apparently, the USDA has jurisdiction over the transfer of animals. Richardson said the move would violate department regulations. Hello, 2012: OK, you’ve had two weeks to recover from the 2010 election. It’s time to get real about 2012. At least that’s the feeling of one local Republican. Victor Marquez, who works for the Army National Guard as well as running his own “investigations and intelligence” company, announced Wednesday that he’s running for the Congressional seat to which Democrat Ben Ray Luján was re-elected this month. Marquez said that in the last GOP primary for the 3rd Congressional District seat, he backed Tom Mullins of Farmington over Adam Kokesh of Santa Fe. But he said he had problems with Mullins’ statement about putting landmines along the border to keep illegal immigrants out. He said some of his investigations have involved human trafficking, which makes him knowledgeable of border issues. The 2012 primary is less than 18 months away. Government Waste? What Government Waste? My New Mexican colleague Kate Nash posted this on her blog and asked me to re-post it here. Ok, so a reporter can only find out so much about waste in state government. That's where you come in, especially if you are a state employee. 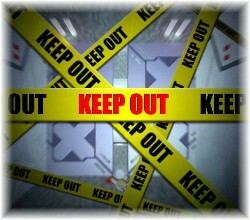 What's being wasted at your department, or a department you do business with or otherwise know about? If you were advising Gov.-elect Martinez, where would you tell her to cut? Be specific, and I could use your ideas in an upcoming story. Write your ideas for trimming the budget in the comment section below or email Kate. Incoming Gov. Susana Martinez will have final say whether the state goes ahead with a land sale for a new "supercomplex" government office building south of the city on the Las Soleras Property. Following a lengthy discussion, the Capitol Buildings Planning Commission today gave final apporival for the Las Soleras project contingent. The developer agreed to give the state the right to terminate the deal in the next 90 days -- mid February. Martinez hasn't taken a stand on the project, but said through a spokesman last week that "expensive new buildings" might not serve the public at this point. House Speaker Ben Lujan, who chairs the commission, said allowing the new administration a month and a half to decide on the future of the project removes any appearance of "movida" that some have used to describe the land deal. Other legislators at the meeting, including Senate President pro-Tem Tim Jennings, Senate Republican leader Stuart Ingle and House GOP leader Tom Taylor, praised General Services Secretary Art Jaramillo for putting together a deal that would save the state money. However, all three of the lawmakers questioned the impact it would have on the office vacancy rate in Santa Fe. Jennings predicted it would take at least 10 years to fill the office space that would be vacated by the Human Services Department to move to the "supercomplex." "The inner core of your city will do nothing but deteriorate," Jennings said. Vacancies would lead to vandalism and "more and more slums," he said. Under the current proposal to buy the land from a partnership headed by Albuquerque developers John Mahoney and Gordon "Skip" Skarsgard, the state would pay $6 million. The state also would give the partnership 4.4 acres of state land in the Galisteo Business Park, which is in southeastern Santa Fe. The price of land in the deal is $9.11 per square foot. The developers would build a Rail Runner train station, roads, utility lines and other amenities such as sidewalks, landscaping and bicycle trails. The state would have an option on the 20 adjacent acres in the 710-acre Las Soleras property. The state Board of Finance will discuss the financing of the proposed land transfer tomorrow. Labels: "las soleras", "Tim Jennings"
What Will Happen to Las Soleras Super Complex? As the Bill Richardson administration sinks slowly in the west, one project that's stirred a little controversy locally still is in motion. That's the planned government office "super complex" planned to be built at Las Soleras. My story about the project is in today's New Mexican. The deal to purchase land, located off south Cerrillos Road near I-25, has gone through almost all the hoops. The attorney general has been reviewing the financial arrangements for month and might have a decision as early as Monday when the Legislature's Capitol Building Planning Commission meets. The state Board of Finance needs to sign off also. They're meeting this week too. A spokesman for the state General Services Department told me Friday that he expects the land purchase to be complete by the end of the year. But Gov.-elect Susana Martinez has yet to get behind the project. Her spokesman told me Friday "The new budget realities put spending such as this in a new context. Gov.-elect Martinez's commitment is to meet the needs of all New Mexicans. Expensive new buildings may not meet those criteria as we focus on key priorities in the state. We are monitoring and evaluating this issue." The initial phase, a complex to house the Human Services and Children, Youth & Families departments, would cost an estimated $80 million. The Legislature already has approved bond sales for this phase. (The funds won't come out of the state general fund, so it wouldn't affect the budget.) Future phases of the project would bring the cost of the project up to $200 million. The state House Republicans, meeting in caucus this morning, voted to keep their current slate of leaders. In a secret vote, Rep. Tom Taylor of Farmington survived a challenged from Rep. Larry Larranaga of Albuquerque. Also re-elected were GOP Whip Keith Gardner of Roswell and Caucus Leader Anna Crook of Clovis. In a written statement Taylor said, "The state needs to get its fiscal house in order and our caucus is resolute in doing just that ... we have a great opportunity to reform government and create a new environment for growth and jobs”. But still a lurking question is whether the House Republicans are willing to back the possible insurgent candidacy of Rep. Joe Cervantes, who might be challenging House Speaker Ben Lujan. Hector to Audit Corrections Dept. State Auditor Hector Balderas just announced that he'll be performing a special audit on the state Corrections Department concerning suspected "vendor abuse of the procurement process." The news release was short on details. I'm not sure whether some kickback scam is at the center of this or what. And it's way too early to tell whether this audit will result in filling more prison beds. Hopefully I'll be getting more details this afternoon. State Auditor Hector Balderas announced today a special audit of the New Mexico Department of Corrections. The State Auditor said the special audit will target potential abuse of the procurement process by certain vendors who were awarded large government contracts by the Department. Allegations pertaining to questionable transactions were brought to the Auditor’s attention by Department management and a tip reported through his Fraud Hotline. Balderas said he looks forward to continuing to work closely with appropriate officials at the Department of Corrections during the course of the special audit. The Office of the State Auditor has designated an audit team from the State Auditor’s Special Investigations Division to conduct the special audit. A completion date has not been made public. UPDATE 12:46 pm 11-12-10: The Associated Press is reporting that the audit concerns possible bid-rigging in construction and maintenance contracts at state prisons. Balderas told the AP that the contracts involve work such as roofing and security equipment installation at state-owned facilities. About $10 million worth of contracts with a high risk for excessive billing and collusio, the auditor said. In case you missed this on Kate Nash's blog Wednesday night, here's the letter that Heather Wilson, chairwoman of Gov-elect Susana Martinez's transition team, wrote to Gov. Bill Richardson's chief of staff Brian Condit concerning exempt employees finding classified positions. Read all the way to the end. That's where Wilson says what Martinez will do if she finds any such ex-exempts. In my first communication to you on November 4, 2010, I asked you suspend any transfers of personnel from exempt positions to classified positions effective immediately. I suggested if there are particularly compelling circumstances, we should discuss them on a case-by-case basis. These kinds of personnel actions in the waning days of an administration certainly seem to circumvent the will of the people of New Mexico who voted in a new administration into office just a week ago. The fact that some of these employees are apparently moving into jobs with very high salaries when there is a freeze in place for hiring and a $250 million-plus state budget deficit is inappropriate. The Governor-elect has made clear that current employees are welcome to apply for jobs in her administration. She is looking for highly-qualified people of character who share her vision for the state of New Mexico. I am reiterating my request that you immediately suspend any transfers of political appointees to classified posts. Furthermore, I wish to inform you that any employee who moves from an exempt to classified position after November 3, 2010 without prior discussion with the Transition Committee on a case-by-case basis will immediately be terminated upon the swearing in of Governor-elect Susana Martinez on January 1, 2011. Gov.-elect Susana Martinez and her helpers have been busy the past few days releasing the names of people appointed to her transition team and all the various search committees. Surprise, surprise: Most of these, like Martinez, are Republicans. Here's a partial breakdown of some of the pools from which Martinez is drawing the members of those groups. Remember, these are just temporary positions, not permanent state jobs. But I wouldn't be surprised to see some of these names in the Martinez administration. Former Republican legislators: Brian Moore, Transition Team; Steve Komadina and Kathy McCoy (who did not run for re-election to the House of Representatives), Health/Human Services/Children, Youth & Families; and Duncan Scott, general counsel search. Former Democratic legislator: Caleb Chandler, Corrections. Former 2010 Republican candidates: Governor contender Pete Domenici Jr., Energy & Environment; lieutenant governor contender Moore; congressional candidate Jon Barela, Economic Development; and attorney general candidate Matt Chandler, Public Safety/Homeland Security. Spouses of GOP gubernatorial candidates: Chuck Franco, Martinez's husband, for Energy & Environment; and John Jones, husband of State Rep. Janice Arnold-Jones, state engineer search committee. Martinez campaign staff and contractors: Ryan Cangiolosi, Danny Diaz, Matt Stackpole, Matt Kennicott and Nicole McCleskey, Transition Team; and Jay McCleskey, chief of staff search. Former Gary Johnson administration officials: Heather Wilson, Transition Team; Lou Gallegos, chief of staff search; Rob Perry, Corrections; Darren White, Public Safety/Homeland Security; Janet Green, Tourism/Cultural Affairs; Mary Yates, Economic Development; and Peter Maggiore, state engineer search committee. Former Heather Wilson congressional staffers: Julie Drieke, Health/Human Services/Children, Youth & Families; and Colin Hunter, state engineer search. Lawyers: Paul Kennedy, Transition Team; Duncan Scott, Perry, Domenici Jr., Matt Chandler, Paul Kienzle, Colin Hunter and Bill Lutz, general counsel search; Joel Carson, Energy/Environment; and Jack Fortner, Economic Development. Agriculture: Roy Farr and Rance Miles, Energy & Environment; Sharon Lombardi, Economic Development; and Erminio Martinez, state engineer search. The New Face of the GOP: On Wednesday, CNN's John King interviewed Martinez on his show. King called her "the new face of the Republican Party." The gov-elect didn't argue with him. Martinez spent much of her time talking about border issues, reiterating her pledge to repeal the law allowing undocumented residents to get driver's licenses and to revoke the licenses already granted to the undocumented. But she said she doesn't favor an immigration law like Arizona's. "I never want an individual who's in New Mexico, who has been a victim of a violent crime, not to be able to dial 911 and call the police and get the same treatment that any American citizen would receive as a victim of crime." UPDATE: 11-11-10 3:30 pm. I added the name of Peter Maggiore to the committee members from the Johnson administration. Maggiore was Johnson's environmental secretary. I just talked to Rep. Donna Irwin, D-Deming, a few minutes ago. She said if Rep. Joe Cervantes, D-Las Cruces, decides to run for House Speaker against current Speaker Ben Lujan, she'll support him. "In the past, I supported Kenny Martinez for Speaker," she said. "You probably recall that I nominated him. I think it's time for a new speaker. Joseph is my office mate and I think he'd be a great choice for speaker." After a little game of telephone tag yesterday, I finally connected with Cervantes. He answered "no comment" as to whether he's running. Earlier today, Heath Haussamen quoted Rep. Andy Nunez, D-Hatch, saying that there’s no one more qualified for the job than Cervantes. I also ran into Rep. Jim Trujillo, D-Santa Fe. He said nobody's called him about a possible challenge to Lujan. "I think everyone knows that I'd support the speaker," Trujillo said. And she's bringing back Rob Perry, who was Corrections secretary under Gov. Gary Johnson. And Matt Chandler's dad too. These folks will look for top prison officials. Rob Perry is the city attorney for the City of Albuquerque. He served as head of New Mexico’s Department of Corrections under Governor Gary Johnson and as an assistant attorney general under Tom Udall. He was also the deputy director of the Department of Public Safety with the New Mexico State Police. Elmer Bustos retired from state government in 2006 after 26-plus years of service with the New Mexico Department of Corrections. Bustos attended Highlands University and the University of New Mexico receiving a bachelor’s and master’s degree in education. He was born and raised in northern New Mexico in the Española Valley. Caleb Chandler was a uniformed police officer for the Clovis Police Department for over 20 years. Chandler retired as the chief of police. He also served for 12 years in the New Mexico state Senate. Gregg Marcantel is a captain with the Bernalillo County Sheriffs Department. Marcantel’s career in law enforcement spans more than 30 years. He has been recognized nationally for developing a domestic violence prevention program. Alfonso Solis is currently the administrator for both the Adult and Juvenile Detention Centers in Roswell. Prior to that, Solis served as the detention center administrator for the Doña Ana Detention Center. He retired from the United States Marshals Service in 1998 after a distinguished 21-year career. Among the members are former Bernalillo County Sheriff Darren White -- an early supporter of Martinez's candidacy, Republican attorney general candidate Matt Chandler, who, like Martinez, is a Republican district attorney. He lost a close race to incumbent AG Gary King last week. Also on board is Ernesto Ortiz, executive director of the DEA's High Intensity Drug Trafficking Area for the state. I quoted him a couple of times in campaign stories about Martinez's prosecution of drug cases and her use of HIDA funds to give bonuses to staffers. Darren White is currently the public safety director for the City of Albuquerque. Prior to his appointment in 2009, White was elected twice as sheriff of Bernalillo County (2002 & 2006). 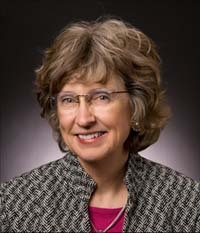 White served as head of the New Mexico Department of Public Safety from 1995-2000. Sal Baragiola is the director of Albuquerque’s Office of Emergency Management. Prior to that, Baragiola served as undersheriff in Bernalillo County. 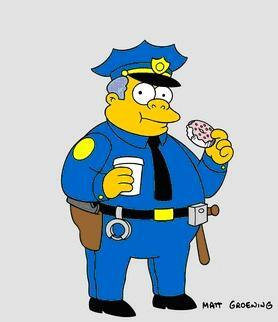 He retired from the Albuquerque Police Department in 1999 as deputy chief of police. Since 1985, he has served as a special agent for the Investigative Service of the U.S. Coast Guard. Matt Chandler is currently the district attorney of the Ninth Judicial District of New Mexico, representing the citizens of Curry and Roosevelt Counties. Chandler has served as the elected Ninth Judicial District Attorney since 2004 and was named New Mexico’s Law Enforcement Prosecutor of the Year in 2006. Dan Darnell is a Farmington City Councilor. Darnell retired from the Farmington Police Department in 2003 after more than 20 years of service. During his time with the police department, he worked as a patrol officer and supervisor, detective, narcotics agent and supervisor, special projects officer, special response team member and leader, and gang enforcement coordinator. Ernesto Ortiz has served as the deputy director for the New Mexico High Intensity Drug Trafficking Area since 1997 and is currently the executive director. Prior to working for HIDTA, Ortiz retired in August 1997 from the Drug Enforcement Administration after serving 26 years in federal law enforcement. Paul Pacheco retired from the Albuquerque Police Department (APD) in 2010 after serving with distinction for 27 years. Pacheco is a former president of the Albuquerque Police Officers Association and in 2003 was named Detective of the Year by Albuquerque Police Department. Beth Paiz currently serves as the deputy chief of the Albuquerque Police Department. Prior to being promoted, Paiz oversaw the Albuquerque Police Department’s Northeast Area Command. Paiz is only the second woman in the APD to achieve the rank of deputy chief. Will Cervantes Challenge Lujan For Speaker? Cervantes didn't return my phone calls Monday before I left work. House Speaker Ben Lujan did. He told me he and Cervantes met on Friday. The House Democrats have scheduled a caucus on Nov. 20. Obviously, we'll know by then if there's a challenge. However, I suspect there will be rumors of a coalition all the way up to Jan. 18, when the Legislature returns. 3 p.m. Tuesday: This post has been corrected: It originally said Cervantes didn't return my call. However, I later realized that he did leave a message for me on my work phone after I'd written the story and left the office. Read My Lips. "No New State Jobs"
With less than two months left in his final term as governor, Gov Bill Richardson announced this afternoon that no agency under his control will be allowed to hire employees for the rest of the year. Gov. Elect Susana Martinez takes office Jan. 1. Yesterday my colleague Kate Nash reported that despite the "hiring freeze" of the past two years, some agencies still are hiring. Her story is HERE. And I've heard rumblings that other similar stories might soon be breaking. Gov. 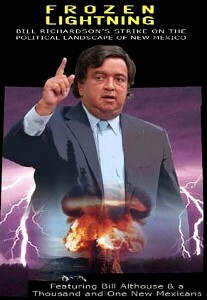 Bill Richardson announced today that he is suspending all Executive Branch hiring for the remainder of the year. Governor Richardson is suspending all hiring during the transition. Governor Richardson created a more restrictive hiring process in fall 2009 at the start of the economic recession. The Governor took away the ability of state agencies to hire new employees without justification. Agency heads during the past two years have been required to justify a critical need and get approval from the State Personnel Office and the Department of Finance & Administration for each new hire. From now on, Executive Branch agencies will not be allowed to hire new employees. Nicole McCleskey is a partner at Public Opinion Strategies (POS), a political and public affairs research firm and was part of the senior strategy team for the Susana Martinez for Governor Campaign. McCleskey is also active in local community organizations and currently serves as President-elect of the Junior League of Albuquerque. McCleskey has a B.A. from Claremont McKenna College and M.A. degrees from George Washington University and the University of Southern California. Paul Kennedy is a former New Mexico Supreme Court Justice. Justice Kennedy is currently a partner in the firm Kennedy & Han. Kennedy is a graduate of Georgetown Law School. Danny Diaz is founder of Diaz Communications LLC and former communications director of the Republican National Committee (RNC). Prior to that, he served as deputy communications director for John McCain 2008 and southwest regional press secretary for Bush-Cheney ’04. Ryan Cangiolosi most recently served as Susana Martinez for Governor Campaign Manager. He has extensive business experience and is an officer in the United States Naval Reserve. Cangiolosi has a BA and an MBA from the University of New Mexico. Brian Moore is a business owner from Clayton and was a candidate for lieutenant governor in 2010. He was a member of the New Mexico House of Representatives from 2000-2008 serving on numerous committees including legislative finance and was a strong advocate for New Mexico’s rural communities. Matt Stackpole most recently served as Susana Martinez for Governor Deputy Manager of Campaign Operations. Previously, Stackpole assisted the Richard J. Berry’s campaign for Albuquerque mayor and in field operations for the Republican Party. Stackpole graduated from UNM Law School in May 2010. Matt Kennicott was previously Susana Martinez for Governor Director of Campaign Operations. He has served as the Chief of Staff for the House Republican Caucus in the New Mexico House of Representatives. Obviously concerned that Republican Susana Martinez won't keep oil and gas drilling away from Otero Mesa in southern New Mexico, outgoing Gov. Bill Richardson has asked President Obama and Interior Secretary Ken Salazar to designate the area as a national monument. Otero Mesa wasn't a major issue during the recent gubernatorial campaign. Described as the largest publicly owned expanse of undisturbed Chihuahuan Desert grassland in the United States, Otero Mesa has become a battleground for environmentalists and the oil and gas industry. Environmentalists say oil and gas production there could impact the area's wildlife and contaminate the groundwater. Richardson has fought to keep Otero Mesa free from drilling. Here's a copy of the letter he sent to Obama and Salazar. I'll be appearing on not one but two television news shows on Friday talking about the 2010 elections. At 7 p.m. I'll appear on KNME's In Focus in a panel that also includes host Gene Grant, Michael Coleman of The Albuquerque Journal and Albuquerque journalist Peter St. Cyr. That show airs again at 6:30 a.m. Sunday. Then at 10:30 p.m. I talk with host Diane Kinderwater on her show Issues & Answers on KCHF, Channel 11. This show will be rebroadcast on Sunday at 7:30 p.m. and Saturday, November 13 at 10 p.m. But don't worry, hillbilly music fans. Both shows were pre-recorded, so I'll still be playing the music Nashville does not want you to hear on The Santa Fe Opry on KSFR at 10 p.m. The House Republican Caucus is going to have to find a new room for meetings with the apparent gain of eight seats from Tuesday's election. House GOP leader TomTtaylor of Farmington said the big Republican gain took him by surprise. He joked with me "Now our caucus meetings are going to last 45 minutes instead of 30 minutes." Do the new numbers pave the way for a new "Cowboy Coalition" in the House?Taylor downplays such a scenario and House Dem leaders sure hope not. Such drama wouldn't do anything to solve the budget crisis Speaker Ben Lujan and Rep. Lucky Barela say. I asked Lujan point blank about the rumors that suggest he's going to step aside and resign before the next session. You can read what he said HERE. So who had the most fun in the 2010 campaign in New Mexico? The answer is obvious: It had to be the anonymous person or persons behind a crazy little blog called NM Defamation Suit. "This site makes humorous statements about public figures," a modest disclaimer reads on the top of the page. "Please keep your cease-and-desist e-mails to yourself." Defamation Suit lives up to that promise of satirizing politicos. There's no apparent partisan agenda, as all are fair game. 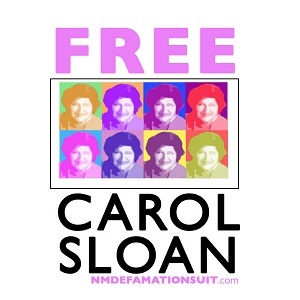 With a good working knowledge of New Mexico politics, and a little skill at Photoshop, the site indulges in wild ridicule at those who run — or would like to run — this state. Warning: The humor often is scatological, frequently vicious, sometimes juvenile. There have been a few times when they've written unflattering things about some of my fellow journalist cronies, such as blogger/reporter Heath Haussamen, who made the mistake of billing the blog for using one of his photographs. Defamation Suit describes candidates in ways that their opponents only fantasize about. Diane Denish: "... a painfully boring invalid with no discernible insight into anything." 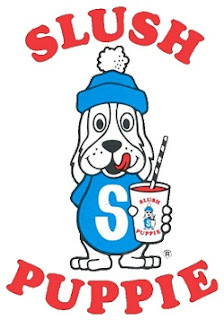 Jon Barela: "He looks like the Slush Puppy on downers." "Fun with Photoshop" is a constant Defamation theme. Early posts included the face of now-Gov.-elect Susana Martinez on the obese body of some extreme-eating contestant — claiming Martinez had skipped a debate to compete in a chimichanga-eating contest. Another showed the face of GOP gubernatorial also-ran Pete Domenici Jr. — who at the time had just admitted to using drugs as a young man — on the body of Al Pacino in Scarface, sitting at a desk covered with cocaine. Some of the funniest material on Defamation Suit could be described as "found-object" satire. After Tuesday's election, Defamation published a selection of actual tweets and Facebook posts expressing "elation/suicidal thoughts" about the results. Held up to ridicule are doom, gloom and bile from disappointed Democrats and overly giddy Republicans. The blog has gotten some mileage by lifting (real) photos from Secretary of State Mary Herrera's Facebook page — including a picture of Herrera with U.S. Sen. Tom Udall. I don't know the real circumstances of the photo, but it looks as if Udall was trying to avoid Herrera by talking on his cell phone. Some politicians seem amused at the blog. Its Facebook pages list several among its "friends" and "fans." And a couple months ago, after it made fun of what former Bernalillo County Sheriff Darren White must have been like as a child, White, good sport that he is, e-mailed them an actual photo of himself at age 8. The only actual complaint from a politician I've seen was early this year when Santa Fe Sheriff Greg Solano posted on his blog, "The writer fancies his or herself a comedian, but not a Sinbad type comedian known for his lack of profanity but much more like Richard Pryor known for his harsh profanity laden humor." 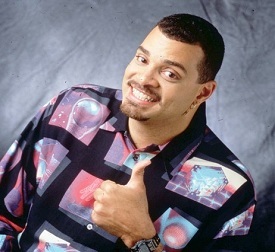 On its Twitter feed, Defamation thanked Solano for the plug and assured him "we try to emulate Sinbad in every way we can." House Speaker Ben Lujan barely survived his primary challenge back in June. And last night his Democratic majority barely survived a Republican onslaught. 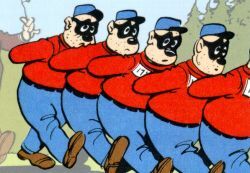 The GOP picked up eight seats in yesterday's election. You've got to wonder whether House Republicans might be tempted to add to the Speaker's woes by trying to peel off a few conservative Dems and attempt a coalition bid for the speaker post. Whatever the case, us reporters will have to think twice before we automatically describe the Senate as being more conservative than the Hosue. It's probably still technically true, but starting in January it won't be as obvious. Among the Democrats who appeared to have lost are Albuquerque Reps. Karen Giannini, who lost to Republican Nate Gentry; and Rep. Ben Rodefer, who lost to Republican David Doyle. Jack Thomas of Rio Rancho also lost his seat to Tim Lewis. In Carlsbad, veteran Democratic legislator John Heaton lost to Cathrynn Brown. In Las Cruces, Democratic Rep. Jeff Steinborn lost to Republican Terry McMillan and Nate Cote lost to Rick Little, while Andrew Barreras of Valencia County lost to Republican David Chavez. ALBUQUERQUE — After eight years in Gov. Bill Richardson’s shadow, Diane Denish on Tuesday became the latest lieutenant governor to lose a race at the top of the ticket. Denish, referring to the harsh tone of the gubernatorial contest, said this is “an era of great cynicism. The competition of ideas has lost out to the competition of ‘gotcha,’ ” she said. 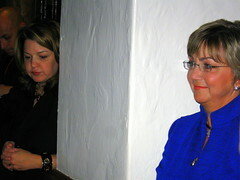 She then admitted that she also was guilty of getting caught up in the “gotcha” game in her campaign against Martinez. Despite the fact that most statewide Democratic candidates won and the party apparently will retain control over the Legislature, the gathering at the Andaluz was a relatively subdued affair, especially in contrast with the Democratic celebrations in 2008, when Barack Obama carried the state by a wide margin, and in 2006, when Richardson won a landslide victory with nearly 70 percent of the vote. Besides Denish’s loss, the Democrats also lost the Secretary of State’s Office as the beleaguered Mary Herrera was defeated by Republican Dianna Duran. Most of the down-ballot races were closer than many pundits predicted. One mother, whose baby was crying at the party, perhaps summed it up: “That’s how all Democrats feel tonight, honey,” she told her unhappy child. National news networks declared Martinez the winner shortly after 8 p.m. “I’m not going to believe it until I see it,” one Albuquerque Democratic activist declared. But as the raw numbers continued to come in over big-screen televisions around the hotel lobby, Denish’s defeat grew more and more apparent. Carter Bundy, political director of the American Federation of State, County and Municipal Employees, said of Martinez’s victory: “I hope she keeps her promise of cutting the government back to the level it was under (former Gov.) Gary Johnson, because it’s already there. There’s not anything left to cut.” The public employees union was a major Denish backer. Tuesday was the end of one of New Mexico’s harshest and most bitterly fought gubernatorial races. Almost immediately after the June primary, the negative ads started blasting on TV, with each candidate accusing the other of dishonesty and deceit and each exaggerating her opponent’s flaws. At the first televised debate last month, it seemed as if neither candidate even cracked a smile. 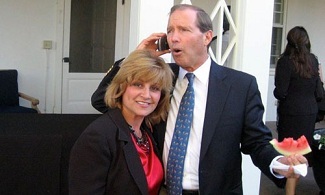 Martinez continually attacked Denish over the fact that her husband, Herb Denish, worked as a lobbyist for a developer who received a huge tax break. Even FactCheck.org, a national nonpartisan campaign watchdog, said the ad was misleading because it didn’t prove that Denish misused her office to help the developer get the tax break. Even so, Martinez continued to run ads about Herb Denish. 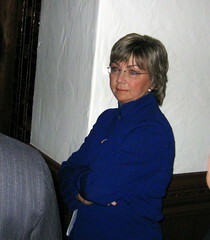 Denish also was criticized early in the campaign by FactCheck.org for distorting Martinez’s record. And later in the campaign, she ran ads emphasizing the fact that Martinez was born in Texas and claimed the Republican wanted to use the Governor’s Office to side with Texas to get more New Mexico water. Former President Bill Clinton took up this line of attack during a campaign stop in Española — even though the campaign never showed any evidence of such a plot and Martinez denied it. In the campaign, Denish never was able to convince voters of her independence from Richardson — whose political fortunes turned sour during the last half of his second term. Following his failed bid for the presidency in 2008, his nomination to a Cabinet position with Obama was aborted because of a federal investigation of an alleged pay-to-play scheme. More scandals involving state investments followed. Though he never was charged with any crime, Richardson’s political capital evaporated. The scandals, along with the state’s poor economy and a budget crisis that’s lasted two years, led to Richardson’s approval ratings tanking. One recent poll showed him with only 27 percent approving of his job performance. Martinez exploited Richardson’s problems and attempted to tie Denish with every bit of bad news to come out of the Fourth Floor. She and other Republicans faithfully referred to “the Richardson/Denish administration.” In one ad that even made some Democrats chuckle, Martinez used 2006 footage of Denish laying the praise on Richardson. Denish emphasized her differences with Richardson and publicly opposed him on a handful of issues that surfaced during the campaign. But she never made a strong break from her old running mate. Although many have tried, no sitting lieutenant governor since 1916 has succeeded in winning the New Mexico governorship. 21,130 voters in Santa Fe County cast ballots in early, in-person voting sites, county Elections Director Denise Lamb told me. That's up from the 13,625 who voted early and in person in Santa Fe County in 2006, the last time there was a gubernatorial election. The reason for the increase is obvious: In 2006 Gov. Bill Richardson cruised to re-election over under-funded opponent John Dendahl. This year the governor's race between Susana Martinez and Diane Denish has been hotly contested. The county doesn't break down the early vote according to political party. A big turnout in this county though probably is some good news for Democrats, who account for 64 percent of the total registered voters. As far as absentee votes go, Lamb said the county has not yet finished counting. The county mailed out about 8,200 ballots and has received at least 6,000 of those. Absentee votes will be slightly down from 2006, however, as Lamb said about 9,600 absentee ballots were cast that year. You can read about the last weekend's campaign swings HERE. Meanwhile, the Secretary of State's office reports that more than 203,000 people in the state cast early ballots -- up from the 132,000 early voters in 2006, the last midterm election. I'll be live blogging on The New Mexican's site tomorrow, along with Kate Nash, Henry Lopez, the good folks at The New Mexico Independent and those of you who wish to contribute. Please check it out.